My college is best to Teaching level. And girls are very secured in my college. 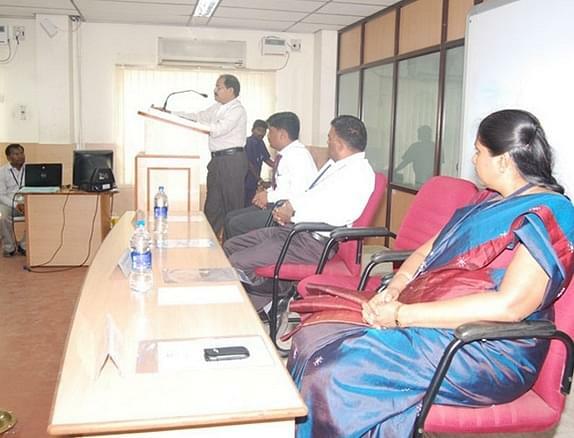 Muthayammal Engineering College (MCE), Namakkal was established in 2000 and is running under aegis of Muthayammal Educational Trust and Research Foundation. The college is affiliated to Anna University. It is approved by All India Council for Technical Education (A.I.C.T.E) and accredited by National Board of Accreditation (NBA). The college offers Engineering & Ph.D. Courses. The college has separate hostels for boys and girls with furnished rooms and uninterrupted power supply. Catering is managed by hostel management team. The main objective of the college is to prepare the students with high professional skills and ethical value. The college has placement cell that conducts many programs like programs for confidence building through external experts, regular aptitude test, group discussions and career counselling to prepare the students for their final placement. Many students of this college are placed in reputed company. 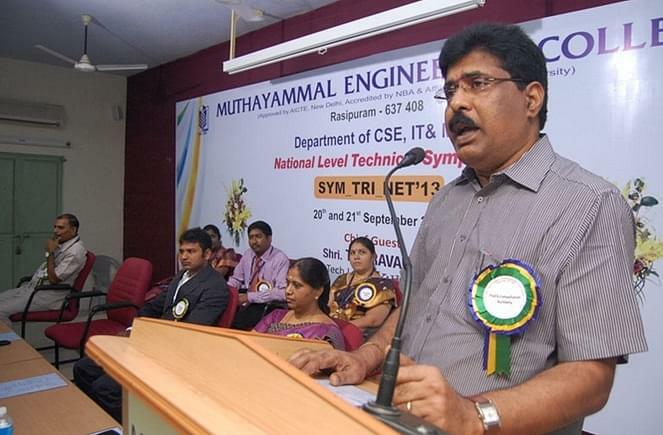 Why to join Muthayammal Engineering College? Academic Facilities- College has support services like computer lab, latest books Library, chemistry lab, auditorium, indoor-outdoor games, spacious Classrooms, Seminar halls, Well-equipped Laboratories, Workshops, well-stocked Libraries, High-speed Broadband Internet connectivity, etc. I wrote TANCET and got this college and i took for its peaceful surroundings and the college is near by my home. The college has many facilities and the support for the carrier guidance will be there but 100% Placement is not provided like wise other colleges.